Injen Technology IS1981P Polished Short Ram Intake System. Each system is built from 6061, T-6 aluminum alloy to ensure the lightest design possible. Air Intake. Color: Polished. Exhaust system. PRODUCT OVERVIEW. Manufacturer: Injen. Each system is built from 6061-T-6 aluminum alloy to ensure the lightest design possible. Injen Technology is a leading manufacturer of Cold Air Intakes and the creator of The World's First Tuned Cold Air Intake System. Manufacturer Part Number: IS1981P. Manufacturer: Injen. Each system is built from 6061-T-6 aluminum alloy to ensure the lightest design possible. Injen Technology is a leading manufacturer of Cold Air Intakes and the creator of The World's First Tuned Cold Air Intake System. Part# IS1980P. Each system is built from 6061, T-6 aluminum alloy to ensure the lightest design possible. Manufacturer: Injen. Notes: 1990, 1991, 1992, 1993, 1994, 1995, 1996 300ZX V6 3.0L Short Ram Intake System, Non-Turbo. IS1980P 90-96 NISSAN 300ZX NON TURBO YES D-476-3 X-1015. INJEN SHORT RAM INTAKE FOR THE FOLLOWING APPLICATION picture shown may not be for your specific vehicle. Part Number: IS1980P. Each system is built from 6061 T-6 aluminum alloy to ensure the lightest design possible. This part generally fits Nissan vehicles and includes models such as 300ZX with the trims of 2 2 Coupe 2-Door, Base Convertible 2-Door, Base Coupe 2-Door. Part Number: IS1981P. Each system is built from 6061 T-6 aluminum alloy to ensure the lightest design possible. This part generally fits Nissan vehicles and includes models such as 300ZX with the trims of 2 2 Coupe 2-Door, Base Convertible 2-Door, Base Coupe 2-Door. Each system is built from 6061 T-6 aluminum alloy to ensure the lightest design possible. 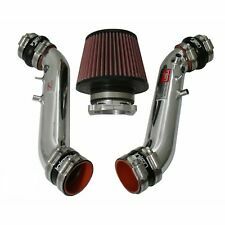 INJEN supplied your vehicles manufacturer with the Air Intake Kit. We think your vehicle needs 0. Last Updated: 07/07/2017 02:48:37 AM. INJEN Short Ram Intake IS1980P. Part Number: IS1980P. (1) 2-Piece Injen Intake System. (1) 3.5" Injen Filter. Each system is built from 6061, T-6 aluminum alloy to ensure the lightest design possible. Each system is built from 6061, T-6 aluminum alloy to ensure the lightest design possible. 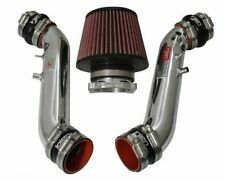 IS Short Ram Intake System All automotive products sold are for use in the United States (USDM) market only. Part Number: IS1981P. Warranty Duration:2 Year. Due to our automated ordering program, orders that have been placed CAN NOT be cancelled. No painted junkyard parts or inferior knock-offs. We also provide accessories and performance upgrades. Manufacturer Part Number: IS1980P. Manufacturer: Injen. Each system is built from 6061-T-6 aluminum alloy to ensure the lightest design possible. Injen Technology is a leading manufacturer of Cold Air Intakes and the creator of The World's First Tuned Cold Air Intake System. Fits 1990-1996 Nissan 300Z Non-Turbo. Injen Short Ram Air Intake Systems are more than just a high flow air filter on a less restrictive tube. The Injen air filter that can be cleaned and reused for as long as you own the vehicle. Injen Technology IS1980P Polished Short Ram Intake System. Each system is built from 6061, T-6 aluminum alloy to ensure the lightest design possible. Air Intake. Exhaust system. PRODUCT OVERVIEW Filter: X-1015. Part# IS1981P. Each system is built from 6061, T-6 aluminum alloy to ensure the lightest design possible. Manufacturer: Injen. 1990, 1991, 1992, 1993, 1994, 1995, 1996 300ZX V6 3.0L Short Ram Intake, Pipe Only, Non-Turbo. 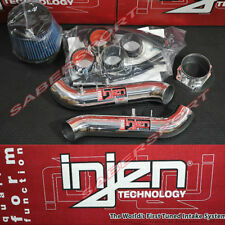 Injen Air Intake - IS Short Ram Intake System - Pipe Only Intake System (IS1981P). Each system is built from 6061, T-6 aluminum alloy to ensure the lightest design possible. Notes: Black Series Exhaust Color: Polished : : . Manufacturer: Injen Technology| Manufacturers Part Number (MPN): IS1980P. Each system is built from 6061, T-6 aluminum alloy to ensure the lightest possible design. Each system is built from 6061-T6 aluminum alloy to ensure the lightest design possible. Injen Air Intake - IS Short Ram Intake System - Short Ram Intake (IS1980P). Each system is built from 6061, T-6 aluminum alloy to ensure the lightest design possible. Notes: Black Series Exhaust Color: Polished Filter: X-1015 : . Each system is built from 6061-T-6 aluminum alloy to ensure the lightest design possible. Short Ram Intake System. Mandrel Bent Aluminum Induction Tubes. Uniform micron openings allow the filtering of debris. 005?. or larger. Fit filters with 6.75" Base / 5" Tall / 5" Top (Injen# X-1015; X-1018),Made of water resistant material to protect your air filter when driving through deep puddles and heavy rains,Blocks larger debris from prematurely clogging your air filter,Installs in seconds. Each system is built from 6061-T-6 aluminum alloy to ensure the lightest design possible. Intake Pipes Only, No Air Filter Included. Mandrel Bent Aluminum Induction Tubes. Each system is built from 6061, T-6 aluminum alloy to ensure the lightest design possible. All automotive products sold are for use in the United States (USDM) market only. The Injen SP Series Intake systems Feature the Patent Pending MR Technology Process for Optimal Gains and a safe A/F ratio. The Injen SP Series Intake is The Worlds First Tuned Intake System.